The holidays can be a stressful time of year. So, Uber is making four changes to the service designed to help. This includes live location sharing (hopefully implemented better than last time Uber Can Now Track Your Location At All Times Uber Can Now Track Your Location At All Times Uber now has the capacity to track riders even after they have completed their journey. Which should worry anyone who cares about their privacy and security. Read More ), the expansion of its use of Beacons, requesting an Uber for a friend, and in-app gifting. Uber has had a tough 2017. It started with claims there’s a toxic culture at the company, which led to the #DeleteUber movement. Travis Kalanick later resigned as CEO, and Uber then launched its 180 days of change, kicking things off by finally allowing riders to officially tip their drivers. First, Uber is hoping you’ll embrace live location sharing. The idea being to make it easier for your driver to find you at a busy location. You simply tap the location icon on your screen to temporarily share your location with your driver. Tap it again to stop sharing your location. Uber is also expanding its Beacon system. This is already live in a handful of cities, but will now be expanded to New York, Chicago, and San Francisco. For the uninitiated, the Beacon is a device that displays a certain color on a driver’s windshield, helping riders to spot their Uber. You can also now easily request an Uber for a guest. This is designed for people with friends of family members who don’t have the Uber app installed. Tap “Where to?” and then choose who’s going to be travelling. The rider will then receive an SMS text message detailing the journey. Last but not least, Uber is making it easier to give the gift of Uber this holiday season. In-app gifting means you can send Uber credits to someone else in a matter of seconds. Just select “Send a Gift” from the menu, select an amount and the recipient, and write a personalized message. Individually, none of these updates are worth writing home about. However, as a whole, they represent Uber trying to make its app more useful. The only people who won’t appreciate these changes are the traditional taxis Uber and other ride-sharing apps are putting out of business What Is Uber and Why Is It Threatening Traditional Taxi Services? 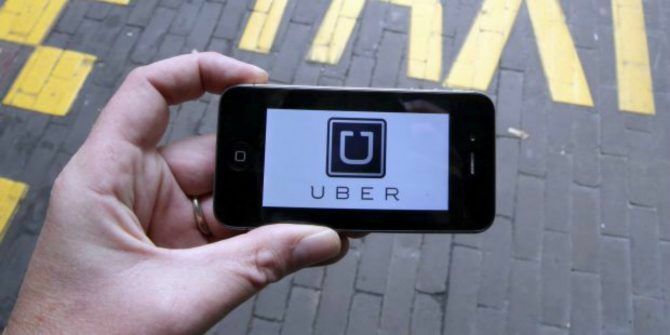 What Is Uber and Why Is It Threatening Traditional Taxi Services? Uber has landed, and it's fundamentally changing inner-city transit. And some might say, not entirely for the better. Read More . Do you use Uber? If so, why do you use Uber over the competition? Or even a traditional taxi service? What do you think of the changes Uber is making to the service? Which of them are you likely to make use of over the holidays? Please let us know in the comments below!